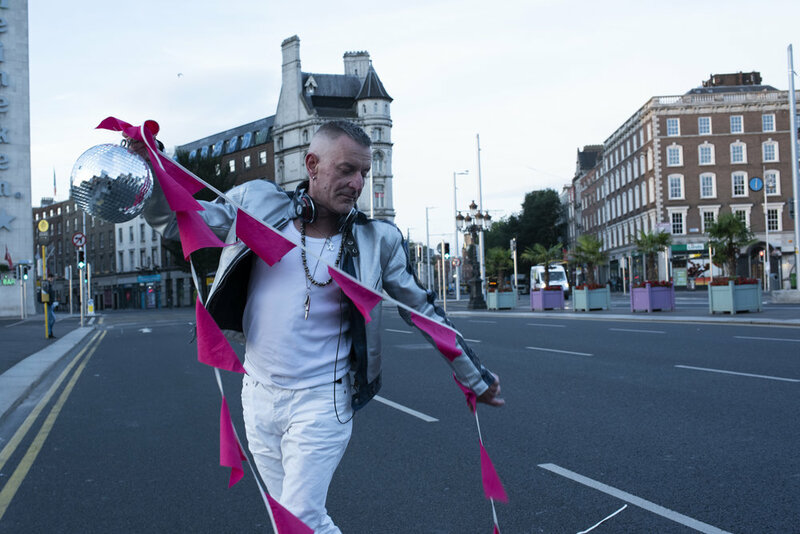 Activist, archivist, DJ, historian and 'Godfather of Gay’, Tonie Walsh, brings his life to the stage later this month with his one-man show I AM TONIE WALSH. 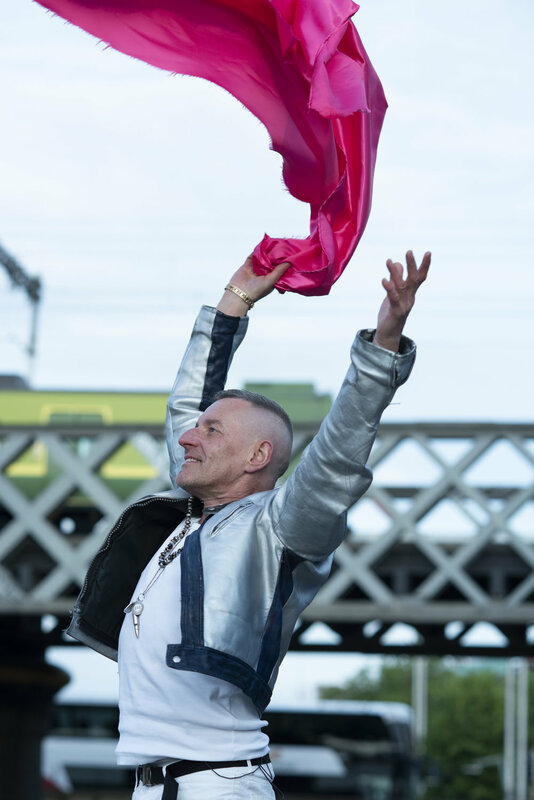 Written by Walsh and THISISPOPBABY’s Phillip McMahon, and directed by Tom Creed, IATW promises, in Walsh’s own words, “tawdriness, rambunctiousness and a certain level of OTT fabulousness” – so far, so Walsh. A meditation on friends, family and lovers, IATW offers a series of intertwining personal and social histories, taking in the LGBT+ liberation movement, the AIDS crisis and clubbing, narratives in which Walsh has been so central. Does this pain, clearly still visible, ever lessen as he writes and edits, re-writes and rehearses? “Ask me that question on December 1st [when it’s over],” he laughs. It is no coincidence that the final performance plays out on World AIDS Day. HIV and AIDS assume lead roles in IATW – the devastation wreaked by the latter on so many of his friends in the 80s and Walsh’s own HIV diagnosis in the noughties. He re-approaches my question: “Without tipping into victimhood which serves nobody, what would help [the pain] lessen for me, would be to see some acknowledgement in Irish society of what we went through. Writing about it, talking about it, acting it out and provoking people is part of that process.” He pauses, again seeking composure: “I miss them. I miss my friends. I’m lonely.” What is remembered lives. Those souls, cruelly plucked from Walsh will cameo alongside him. Charting the trajectory of the Irish LGBT+ liberation movement as it does, IATW opens by setting a scene of an increasingly visible community enduring discrimination and violence – some of it fatal. Given all that Walsh has lived through, it is unsurprising to hear that he never expected Ireland to be where it is today: “I cry a lot now. I regularly cry out of happiness for just seeing some of the beautiful things I see right now, in terms of our sexual minorities having a life. We live in an imperfect society but people are having a life in ways that were denied to our brothers and sisters back in the day.” Today, the agency and urgency of younger generations sustains him and to be sure, IATW is a piece of intergenerational dialogue: “When I’m in a bad place, I dig deep down inside me to find something or soak it up from the people around me. That’s my survival instinct. “Life is brutal but you do everything you can to push through that brutality. Maybe I came armoured, or developed my armour incrementally, but something just constantly makes me pick myself up and push on. I think it comes down to how much I love life.” Audiences should feel lucky to be let in and made feel part of his, if only for an evening. I AM TONIE WALSH runs from 27th November to 1st December at Project Arts Centre. Tickets at THISISPOPBABY. All imagery by Luca Truffarelli. This article originally appeared in Totally Dublin.